QUETTA: Doctors and paramedics from the Balochistan wings of the Young Doctors Association (YDA) and Paramedical Staff Association (PSA) staged a sit-in protest outside the Quetta’s deputy commissioner’s office on Tuesday, in relation to the alleged kidnapping of after a medical student in Quetta. 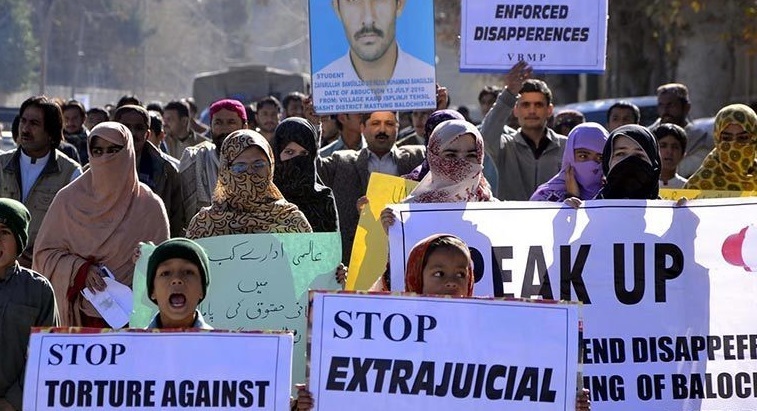 The protestors chanted slogans for the speedy recovery of Saeed Baloch, a senior year student at Bolan Medical College who was ‘kidnapped’ from his hostel’s room by unidentified men on Sunday night. However, so far, no First Information Report (FIR) has been registered against Baloch’s ‘kidnapping’ at any police station. Speaking to the media, PSA President Jamal Shah Kakar informed that the sit-in was also meant to raise awareness about the ‘deteriorating conditions’ of state-run hospitals in Quetta. YDA President Dr Yasir Khosti, as well as, other protestors urged the authorities to ‘recover Baloch unhurt’. They further called on the government to provide substantial medical equipment for government hospitals. The protest resulted in a traffic block for at least three hours. Although the administration has attempted to mediate with demonstrators to diffuse the situation, no agreement has been reached.